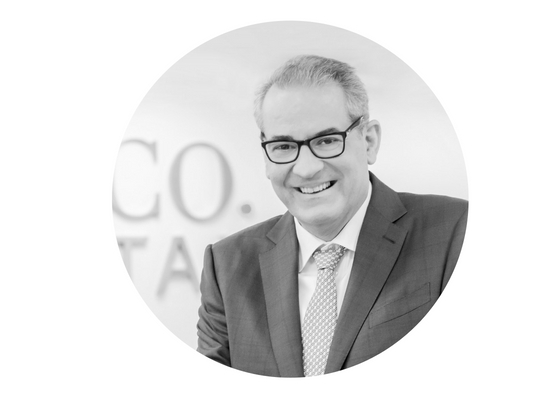 As Global Managing Director, José has overall responsibility for origination, operations and asset management and is member of the Investment Committee. Prior to Sunco Capital, he held several senior management positions at SunEdison from 2009 to 2016, being a key contributor to the growth of the company globally. As President EMEA/LatAm, he positioned the company as a market leader in the region. In 2015, he become President of Global Asset Management managing an overall portfolio of 8GW of Solar PV and Onshore Wind assets. Before that, he held senior international management finance roles in EMI Music and Universal Pictures. He started his professional career in Price Waterhouse Coopers. He holds a Masters in Economics and Business Administration by Universidad Comercial de Deusto (Bilbao, Spain). Consolidation of SunEdison and TerraForm asset management and O&M organizations into an integrated global asset management platform. In a 12 month period, oversaw the on-boarding of more than 3 GW of new assets and improved overall fleet production by nearly 1%. 170 MW Bilateral PPAs in Chile with two mining companies. 107 MW in first solar auction in Brazil. 410 MW in first renewable energy auction in Chile. 458 MW in Round 3 Renewable Energy Program in South Africa. 478 MW Bilateral PPAs in UK. 74 MW Bilateral PPA In Uruguay. Developed and financed the first merchant solar plant in the world, being awarded Project Finance Deal of the Year in Latin America in 2014. Development, Construction and Financing of a portfolio of 478 MW in the UK, 296MW in Chile, 200 MW in Italy, 60 MW in Bulgaria, 22 MW in Spain. 81 MW in Honduras and 28 in Jordan. Construction of 400 MW across US, Canada, South Africa, India and Thailand. Acquisition of portfolio of operating wind assets from Renova Energia in Brazil of 329 MW with an enterprise value of $483 M.